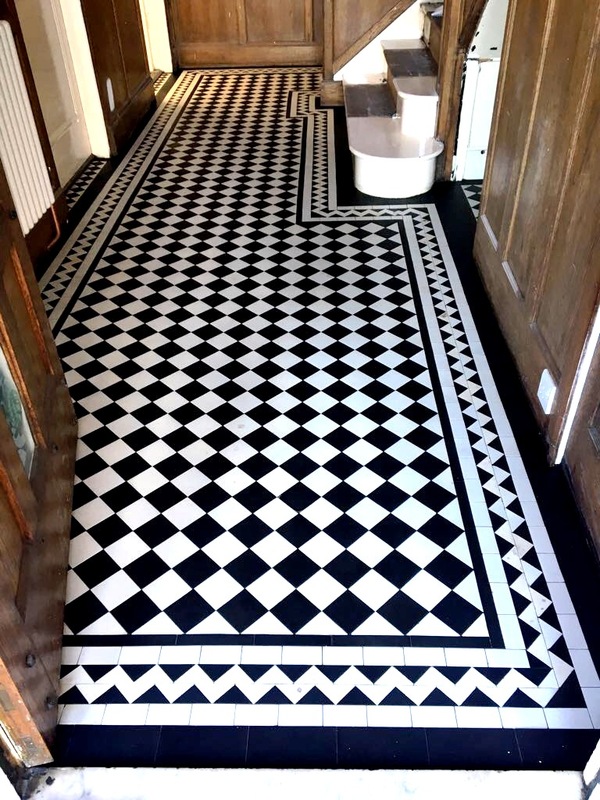 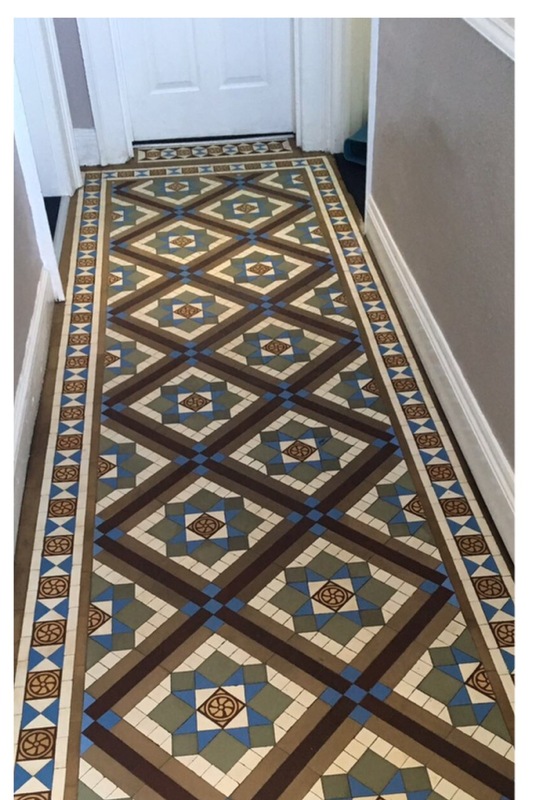 The pictures below detail the restorative clean and seal of a Black & White Edwardian Geometric Tiled Hallway at a residence in West Bridgford near Nottingham. 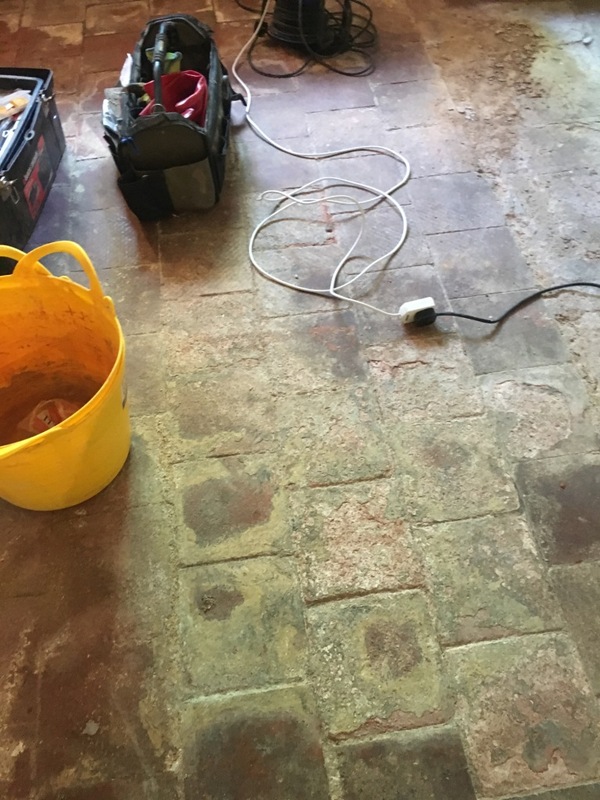 The tiles had previously been covered in carpet trapping years of dirt and soiling into the pores of the tile which were also stained with paint spots and traces of carpet adhesive. 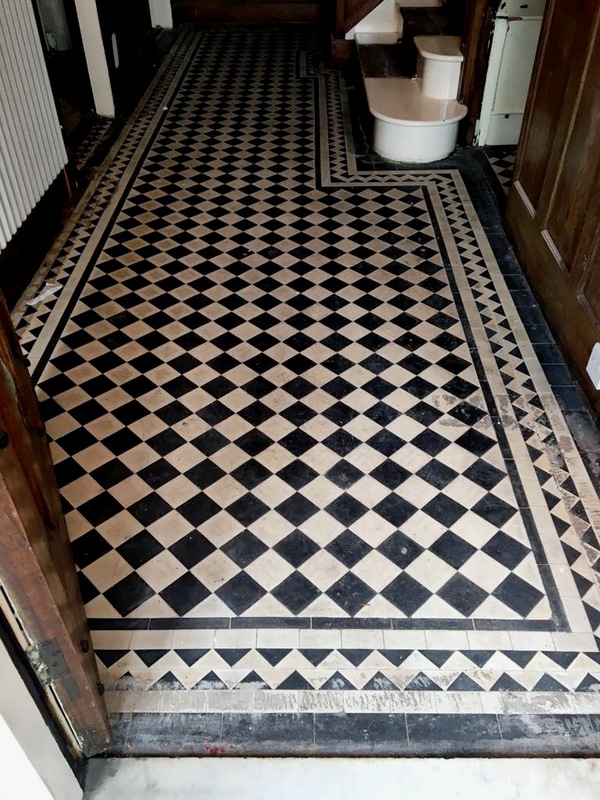 These floors are amazing to look at, and it’s a shame that due to changing fashion trends over the decades, that many became covered with other inappropriate floor coverings. 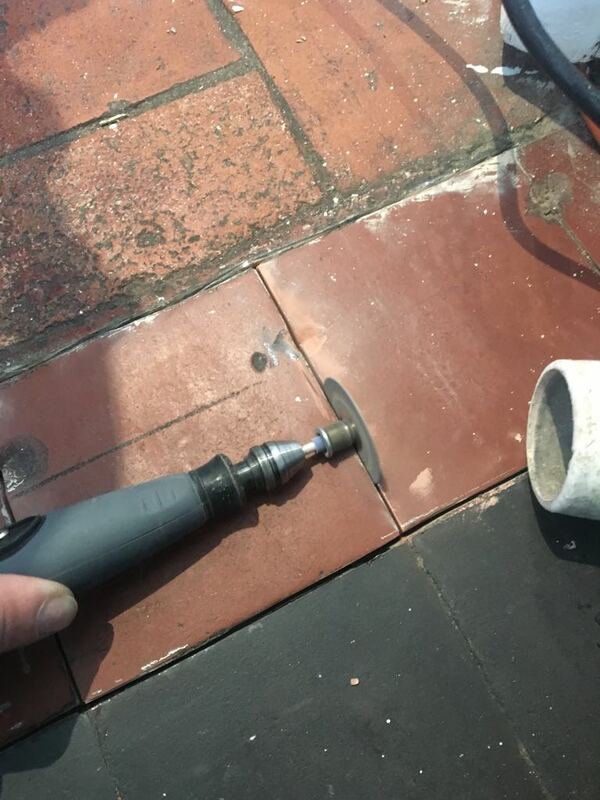 At least in the case the carpet was fixed with glue, I have worked on others before were tiles were smashed in order to secure gripper rods. 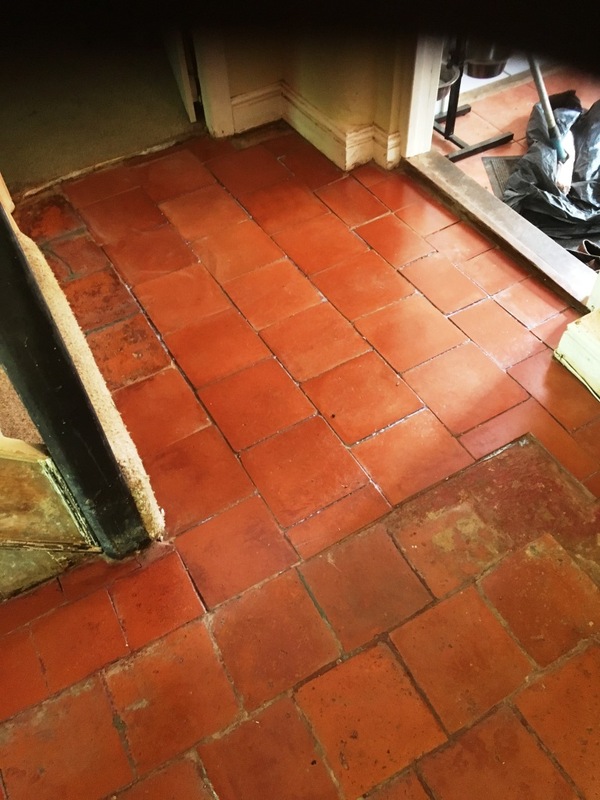 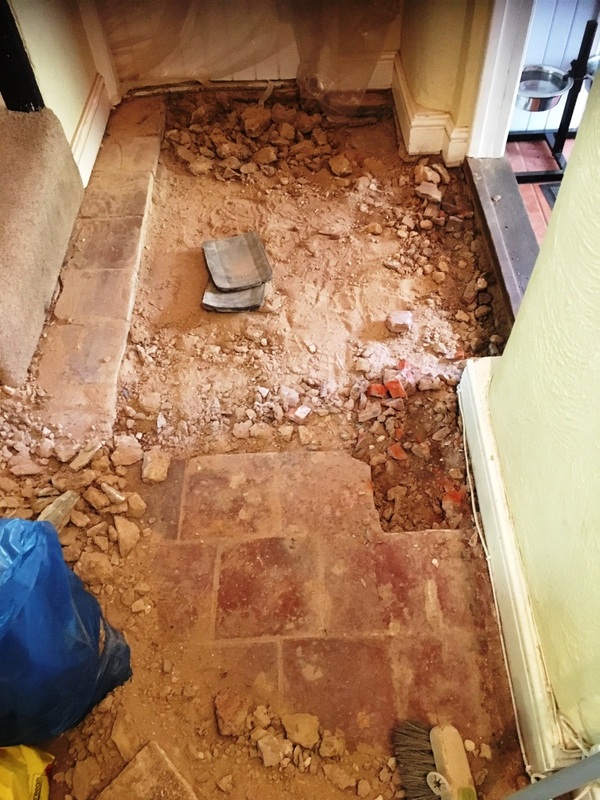 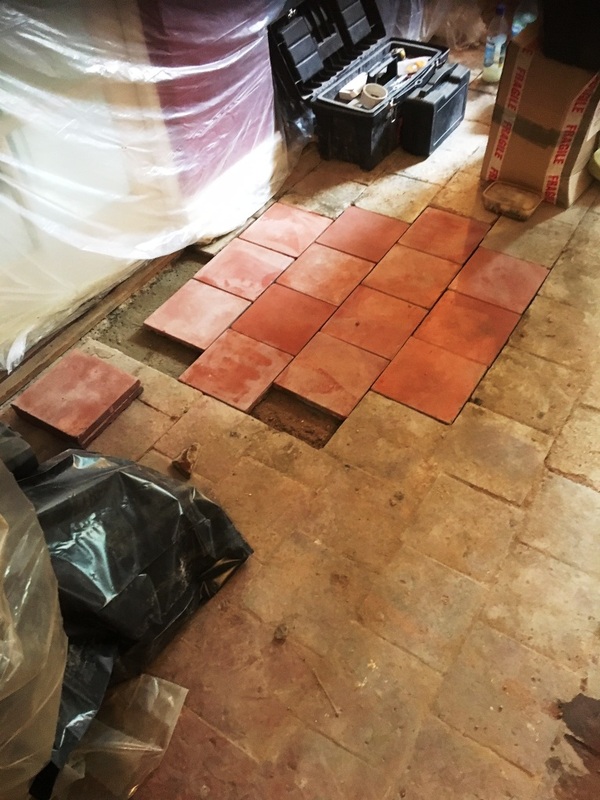 I could see a lot of work would be needed to bring it back, however having restored countless number of Victorian and Edwardian tiled floors before I was confident we could achieve a good result and was pleased to get the go ahead to complete the work. 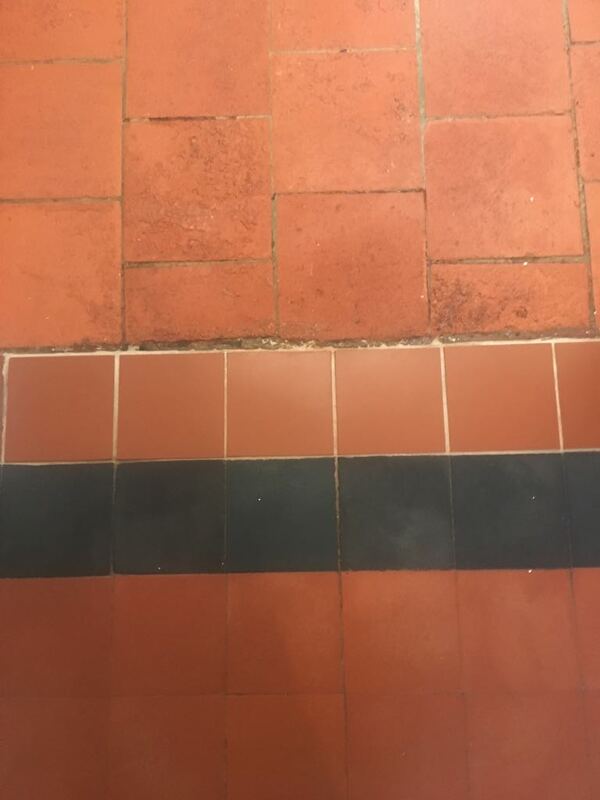 The first part of the cleaning process was to apply a strong dilution of Tile Doctor Remove & Go coatings remover allowing it to dwell and soak into the tiles and break down the adhesive and paint stains. 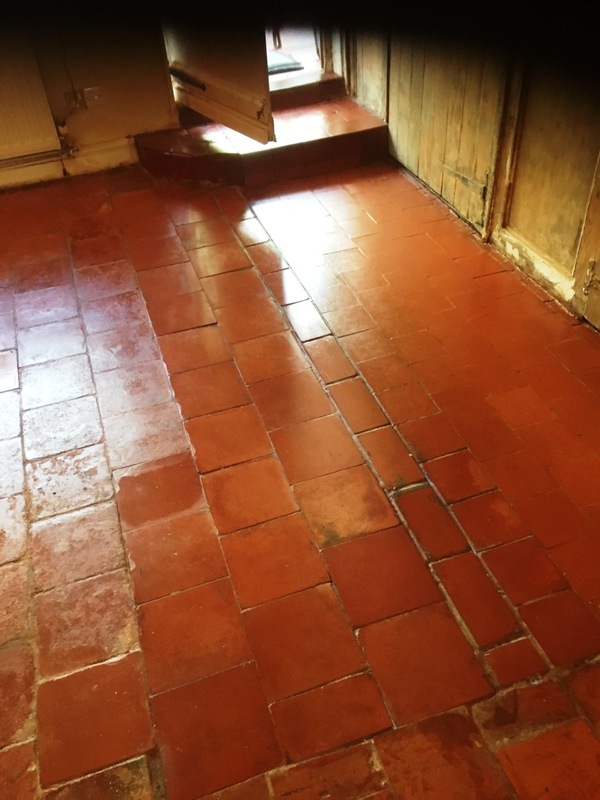 The solution was then agitated using a black scrubbing pad to help break down the historic-soiling and soften the glue and paint so they could be carefully scraped off. 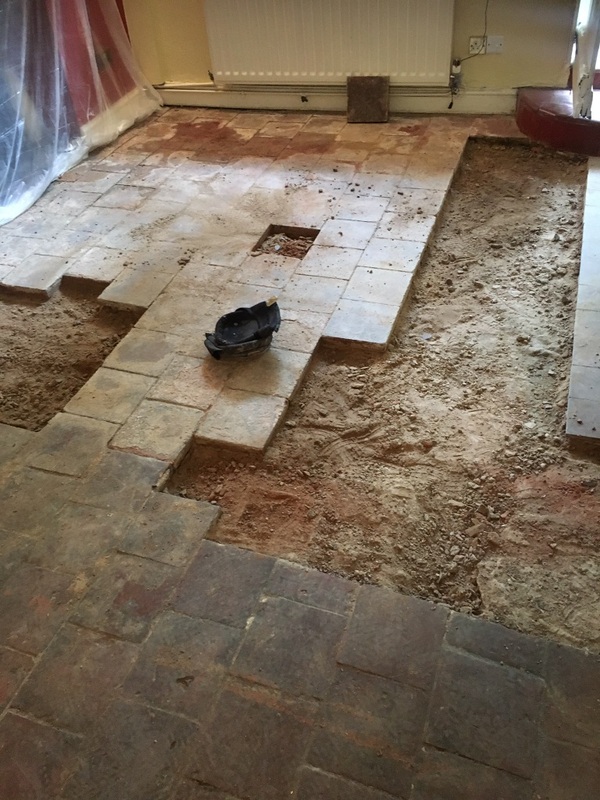 This process generated a lot of soil which was rinsed off and extracted using a wet vacuum. 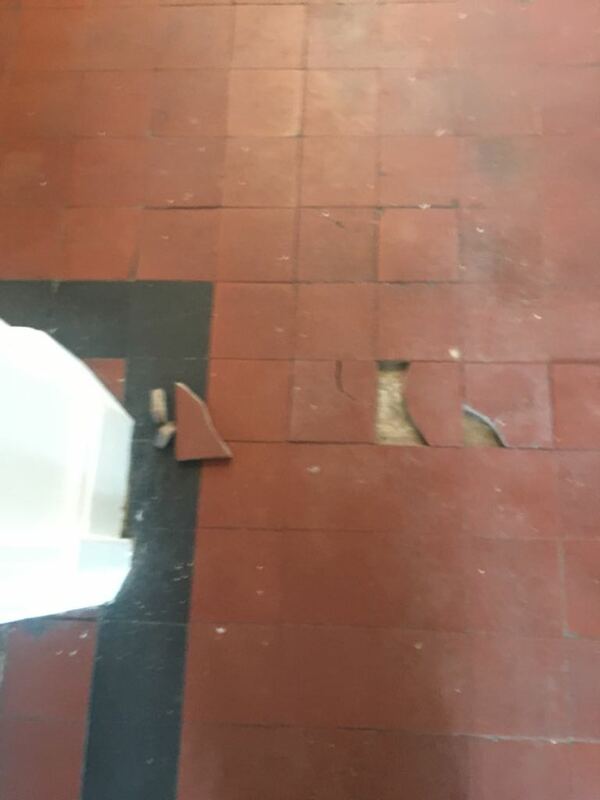 Old tile installations such as these were never designed to be covered as damp proof membranes were unheard of at the time. 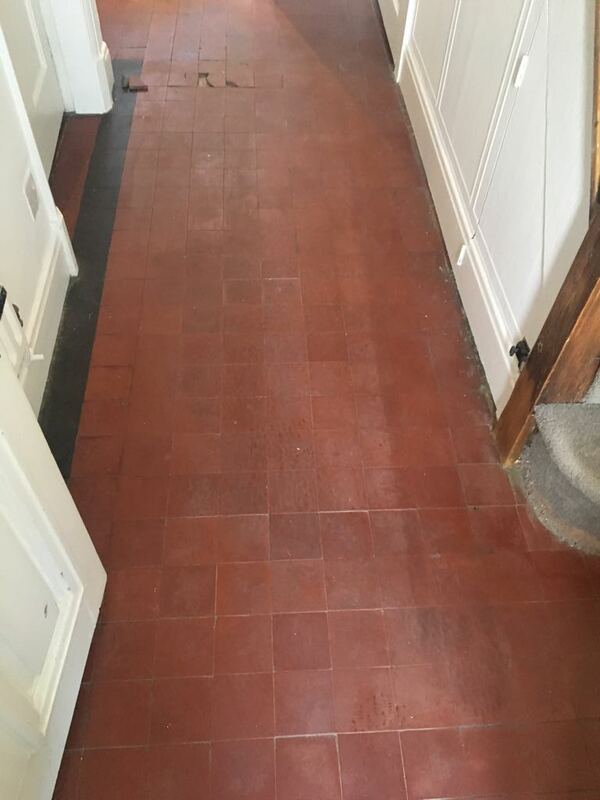 Instead the tilers of the day used a breathable lime screed to allow moisture to pass freely from the sub floor. 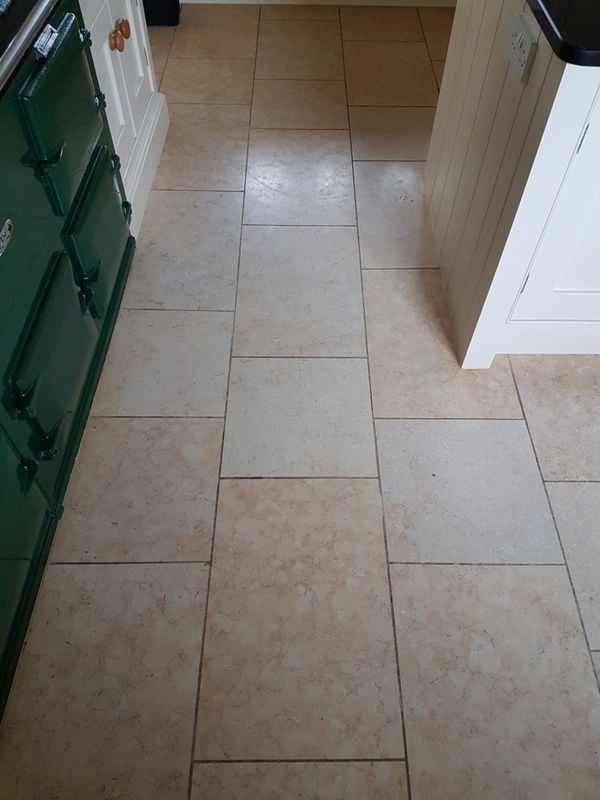 This combined with coal fires of the day, and air movement kept a controlled temperature to ensure moisture didn’t build-up. 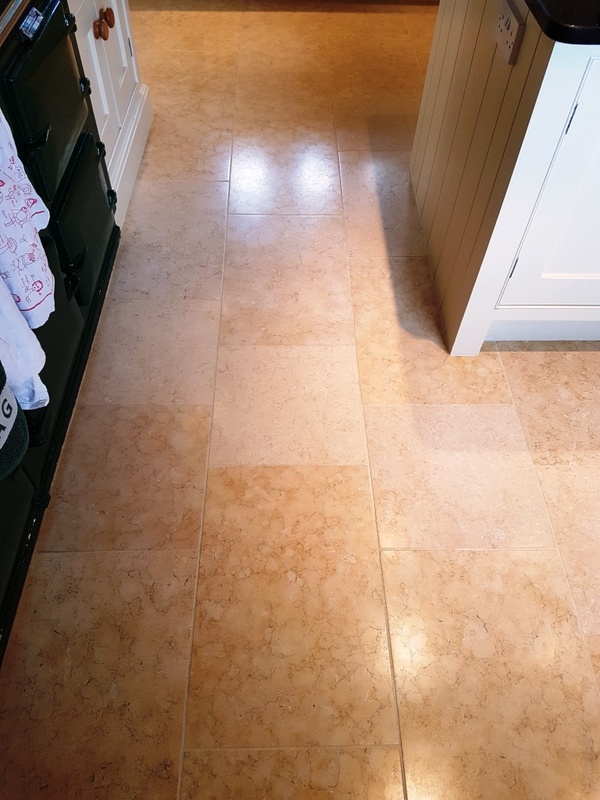 Covering these floors stops them from breathing and moisture inevitably can build-up and potentially lead to white salts to be deposited on the surface of the tile as it dries. 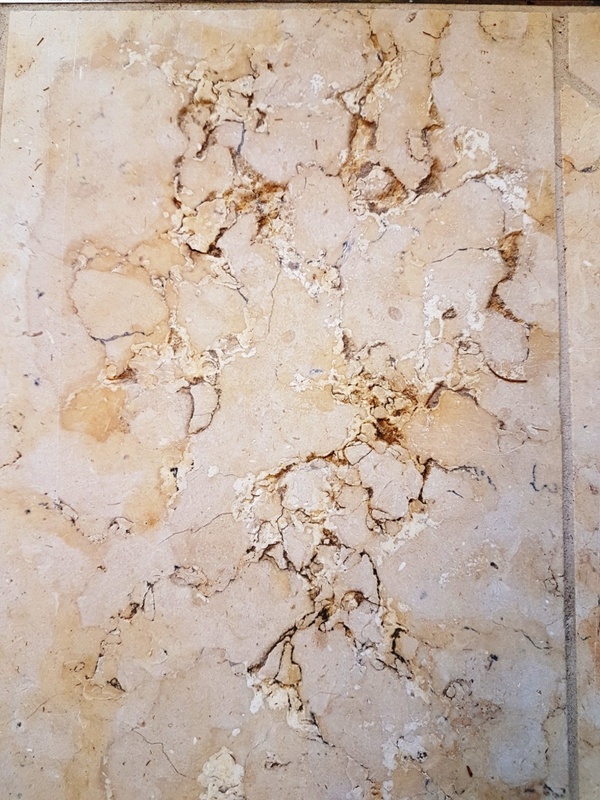 To avoid this problem, which is known as Efflorescence, the salts need to be counteracted with the application of an acid. 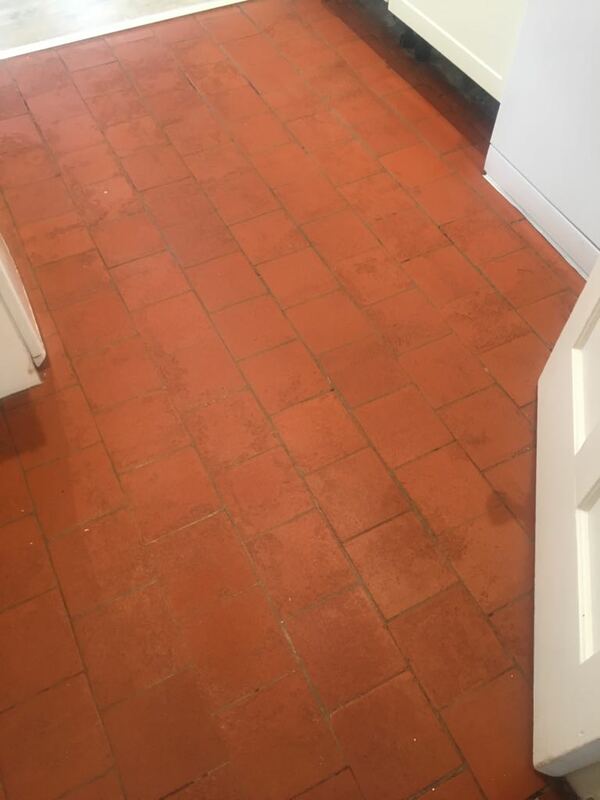 To this end my next step was to liberally apply Tile Doctor Acid Gel to the tiles and leave it to dwell for time. 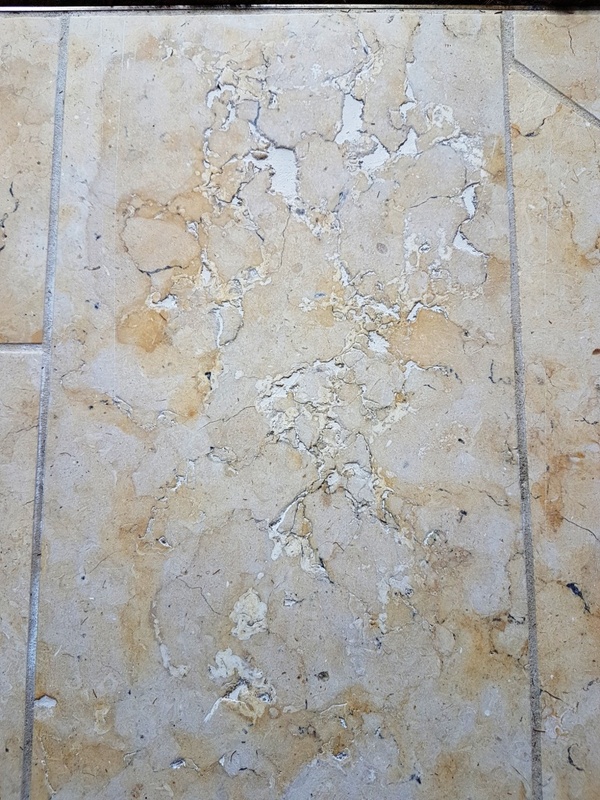 This process dissolves the efflorescence salts and also removes any other unwanted deposits such as grout smears from the tile. 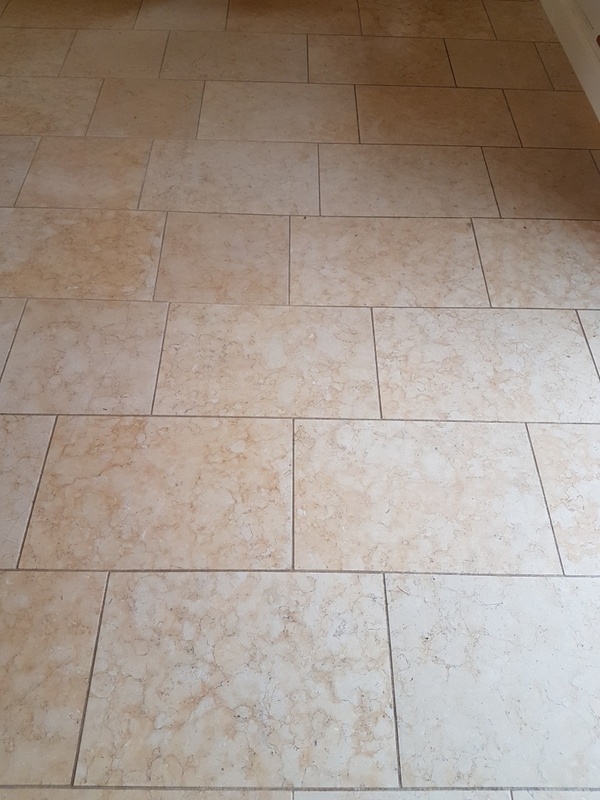 The last phase of the cleaning process was to remove the Acid Gel and then rinse with water again to remove any trace of product. 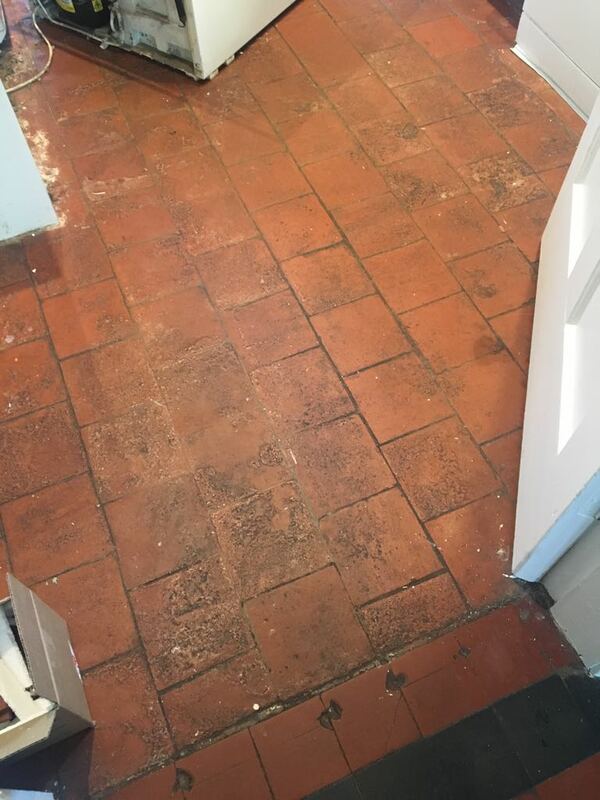 The floor was then dried as much as possible with a wet vacuum to remove moisture and then left for a few days to fully dry out. 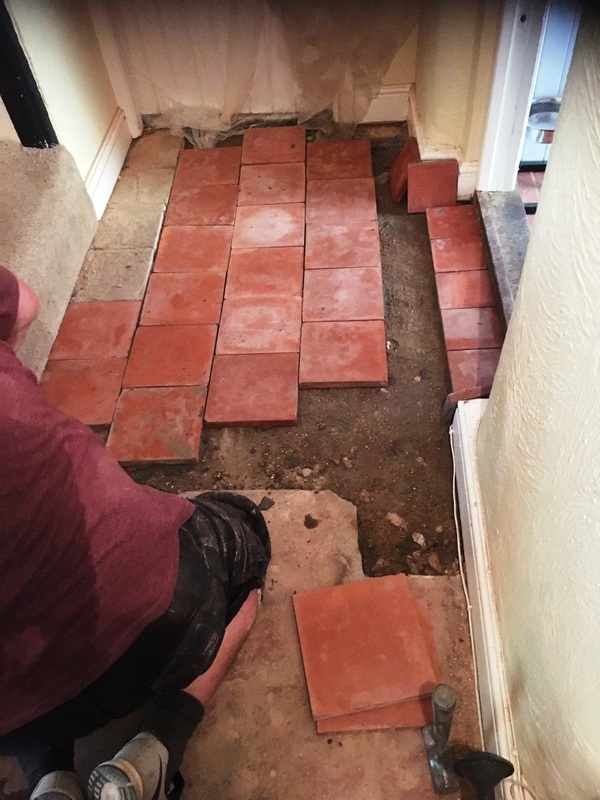 On our return the floor was checked for dampness using a damp meter in a number of different places. 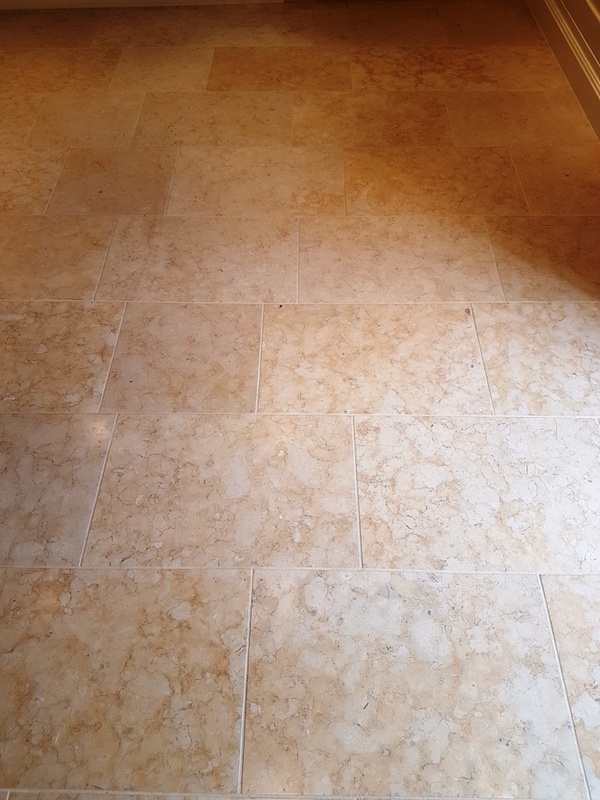 All was well so the floor was then sealed in two stages, starting with an application of Tile Doctor Colour Grow which is an impregnating sealer that improves colour. 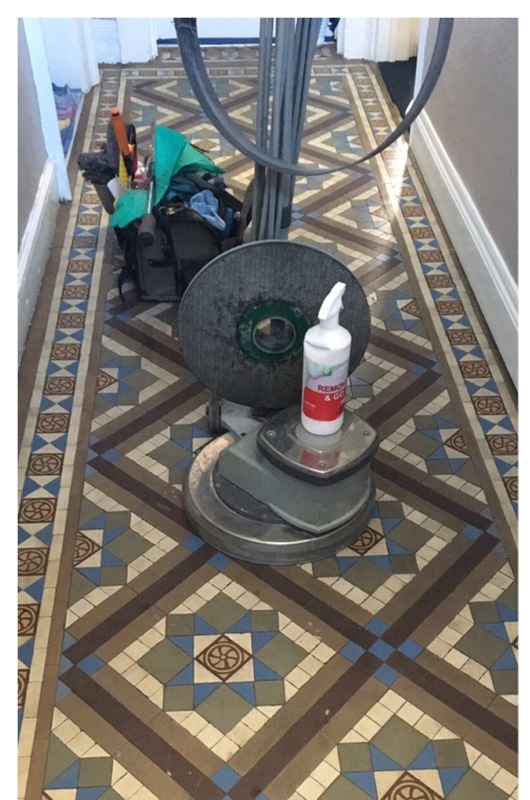 Once the sealer had dried it was followed with a number of coats of Tile Doctor Seal and Go Extra which works really well on Victorian and Edwardian tiles adding a lovely subtle shine. 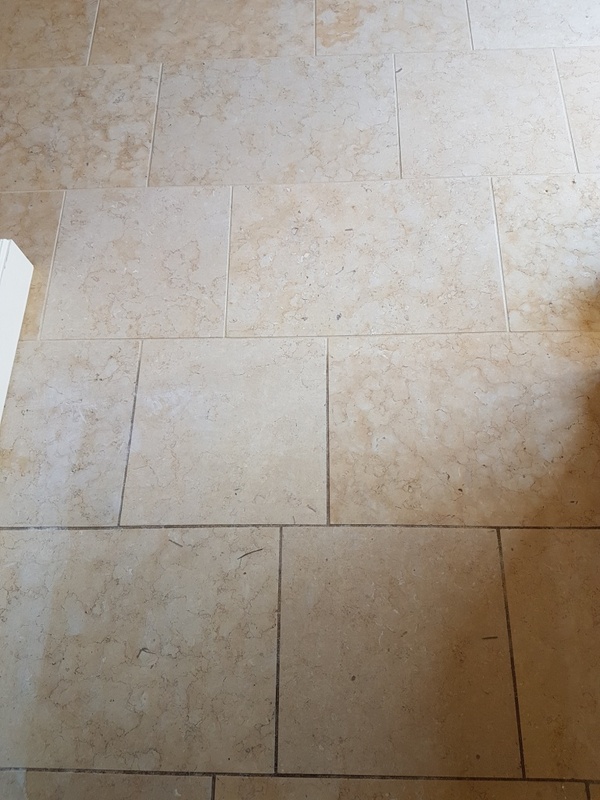 Both these products are fully breathable which is vitally important where efflorescence is a concern. 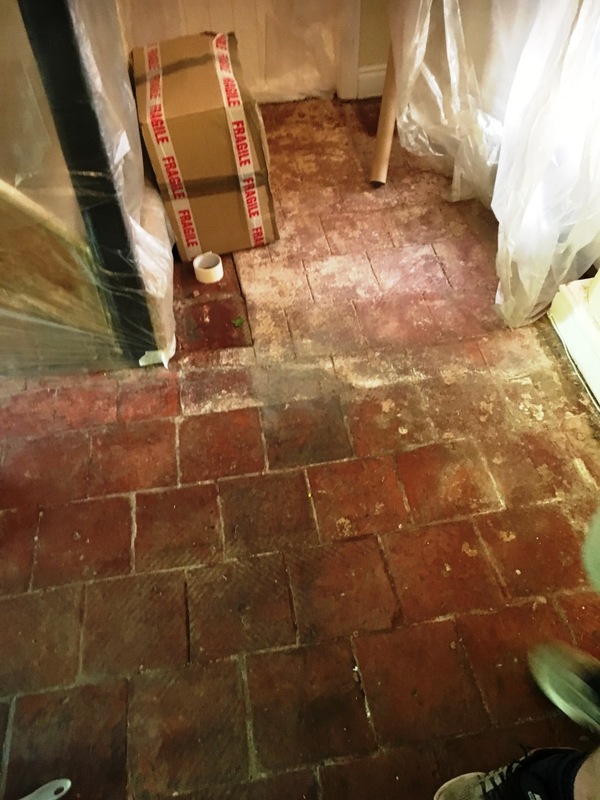 Otherwise, moisture will build up and causing staining and direct moisture into the supporting walls. 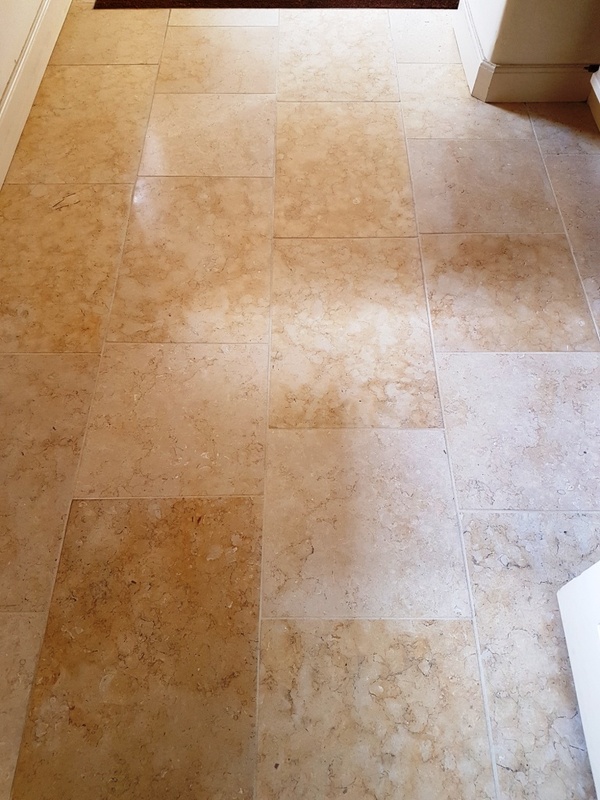 Once our Restorative Cleaning & Sealing process is complete you should avoid the use of steam cleaners and strong cleaning products as they can prematurely erode the sealer. 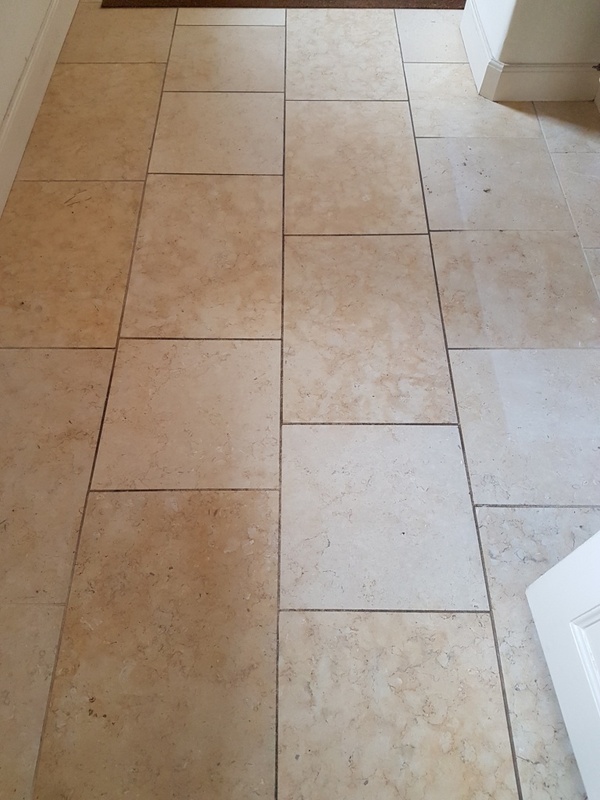 Ideally we recommend you maintain the floor with Tile Doctors Neutral Tile Cleaning Solution which is pH neutral once it has been correctly diluted.